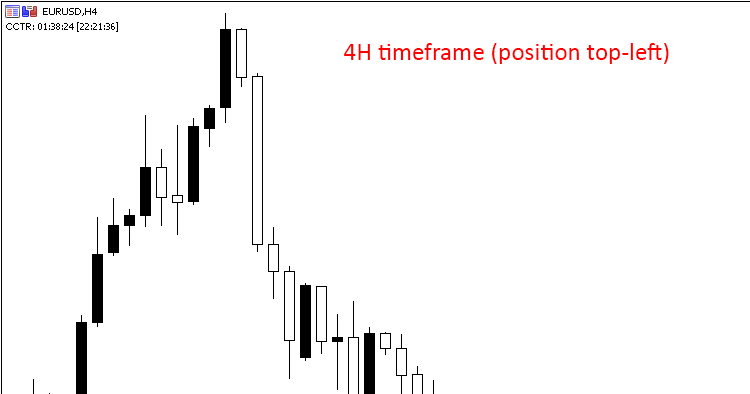 Candle Closing Time Remaining (CCTR) is an indicator which displays the remaining time for an open candle to be closed. Display server time (on OR off) [v2]. Play an alert sound when the candle is going to close [v3]. Set location 'Top-Left': to be displayed in comment in the top-left part of the chart. 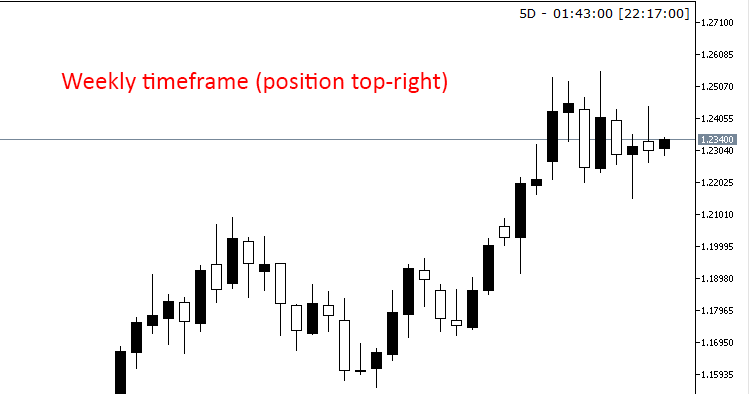 Set location 'Top-Right': to be displayed in the top-right part of the chart. Set location 'Bottom-Left': to be displayed in the bottom-left part of the chart. Set location 'Bottom-Right': to be displayed in the bottom-right part of the chart. Set 'On': display server time. Set 'Off': don't display server time. Set 'On': play a sound when candle is going to close in less than 5 seconds.- set 'Off': don't play sound. Note that, the file must be located in <terminal_directory<>>\Sounds or its sub-directory. Only WAV files are played. If you leave the field empty, the default sound will be played. Is it possible to display only the countdown timer, and none of the text? I know what it is for, do not seen explanation. However, when I tile vertically, on my laptop, these sorts of indicators do not have sufficient space to show the number changing because too wide. The new version of CCTR indicator is ready with your requested features and fixes. thank you @ekud87 and @timmbits. I'm new to MT5. Can you tell me how to start CCTR indicator? Thank you so very much "When you help others you better yourself!!!"